Erin Akamine looks like a musician, if such a look actually exists. Her instrument of choice, however, might surprise some. Many migt guess the piano or maybe the clarinet. But no, they would be off by a good yard. Akamine plays the cello, a string instrument that is nearly as large as her. In fact, in size alone, the cello requires some effort just to transport. And it’s usually, if not always, played in the sitting position. But likewise, the cello has its charms, Akamine says. “I love the sound and the range and also because my mom played a little violin and my sister played the viola,” she says of her choice. This Culver City High junior has been playing the cello since the fifth grade — for six years to be exact. Her mother Lynn, a lifelong music lover, was influential in guiding her daughter to the “ideal” instrument. 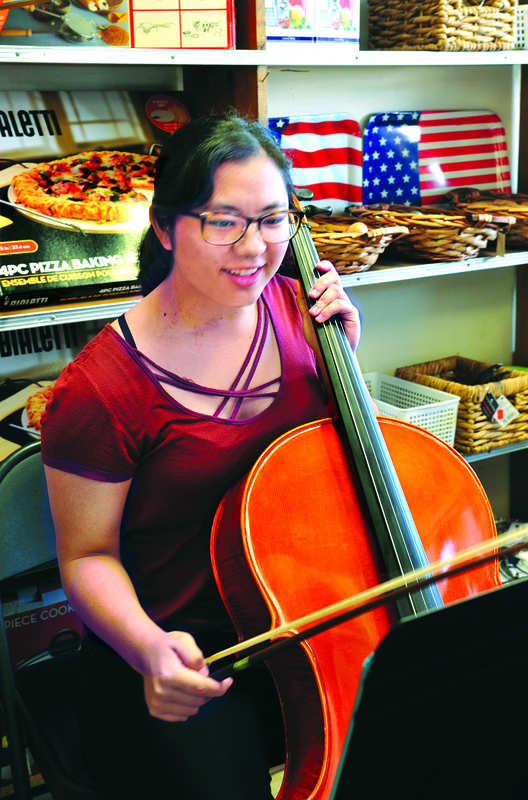 “I encouraged Erin to try the cello in the 5th grade,” Lynn Akamine said. “At the time, she was a competitive gymnast and she stopped gymnastics in 6th grade. Cello became her main focus. “We did not foresee that Erin would do well in playing the cello; it was basically, us (family and friends) enjoying her progress each step of the way. 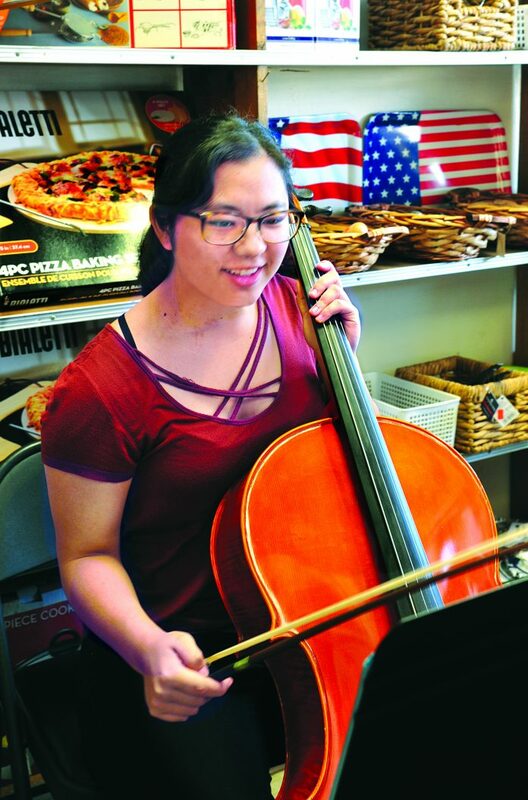 I do feel that she is just beginning her musical journey on the cello — there is plenty more to learn,” Lynn Akamine added. The cello so it seems, fits into the Akamine family musical dynamics just fine. 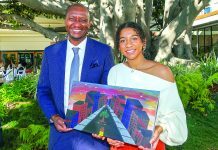 Now in 2019, Akamine, 17, is a rather accomplished young musician. Just look at her resumé. 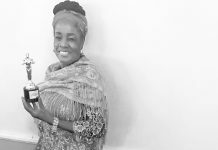 She has given solo performances, as well as performed with advanced artists — including her personal teacher and mentor, Arlette Cardenes. While she enjoys performing before an audience, Akamine says she is just fine playing privately or with family for pure pleasure. An “A student with some Bs,” Akamine has college aspirations, but at this time is undecided on a university. And is undecided on a major of study. This week, Akamine and her fellow AVPA musicians performed a concert at the Culver City Senior Center. She says that part of the joy and challenge of being a young musician is striving to improve. “I am part of the string ensemble in AVPA, led by Tania Fleischer. She really is amazing as a musician, instructor and conductor,” Akamine says about Fleischer, another of her mentors. “For playing the cello, I am still discovering different composers and styles from different periods, but so far, any music that is faster in tempo is actually more interesting to play (but not necessarily more difficult). Of course, I look up to Yo-Yo-Ma, he is simply spectacular. Akamine says she practices with the cello at least one hour a day. Besides her mother and Fleischer, Erin credits Cardenes for pushing her and inspiring her to reach her potential. Lynn, who plays the piano, dabbles in the guitar, violin and ukulele, says that Erin isn’t the only gifted musician in the family. Other family members are also doing well musically in their own right. 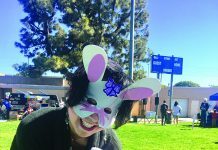 “(Erin’s) older sister Michelle played viola in AVPA String Orchestra when she was at CCHS, and she plays Sanshin (Okinawan string instrument) and Okinawan Koto,” Lynn told the News last week. “Her father Don plays Sanshin (he started playing because Michelle didn’t want to go alone to class). Don claims that he has no musical ability, but he practices diligently. In April, his Sanshin group will be playing at Carnegie Hall! (Ryukyu Koten Afuso Ryu Ongaku Kankyuu Choichi Kai — the head master is a Living National Treasurer on Sanshin in Okinawa). For Erin Akamine, she won’t commit to a professional musical career at this point. Mom Lynn believes that music will always be a major part of Erin’s life. At this point, Erin Akamine is simply enjoying the ride.